It’s simple, really. Start by requesting a quote, do a bit of homework, ask some questions if you’d like, and then let’s get this scheduled so you can begin tackling the other items on your list. When you choose a reputable and experienced company like ProStar, you will be rest assured knowing your vehicle will be in the hands of professionals. It will get from point A to point B safely and on time. ProStar is female-owned and operated, and is one of very few auto transport companies with an A+ rating with the Better Business Bureau. 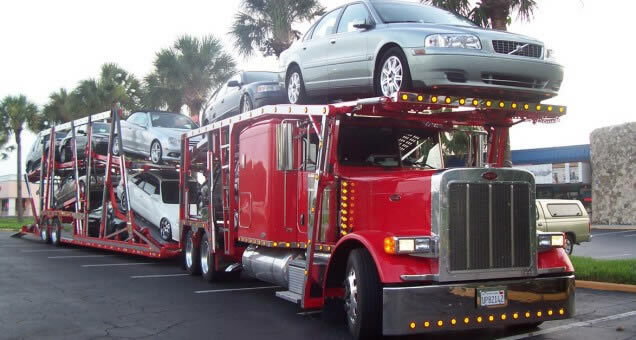 We have been assisting customers with their auto relocation needs since 1992. We are so glad you found us! HONESTY and DEPENDABILITY is what ProStar stands for. We take each move very serious and always do our best to exceed our customer’s expectations. Please do not hesitate to ask us questions or share your concerns about this whole process. We want to make sure you are clearly informed and our nationwide services exceed your expectations. Customers have shared their “ProStar Experience” on a few trusted review sites. We invite you to take a look at these reviews so you can get a better sense of our personable and professional service. Good Morning Friends! Since April of this year, Prostar has undergone an ownership change. It has been a challenge to get the company transitioned, change a few of the operating systems and really try to understand this industry. It is always a work in progress but we wanted to touch base with our online followers and let you know we are still here, still doing great work, still helping people by providing honest and reliable service and ready to ring in the new year in a big way! 2019 will bring us growth and opportunities to start expanding our services. We appreciate all the support from everyone who has helped make this transition smoother. We are thankful for all the advice from our carrier partners and the feedback from our customers to continually make our services better. We are grateful to our team members who have been faithful to stick by us through this learning curve! Join our PROSTAR in-house Carrier list today!! !